Traveling the world doesn’t have to be expensive and you don’t have to save forever! Here are 7 Ways to Save Money on Travel so you can start planning your dream trip today! My husband and I have been very fortunate to travel frequently and often for long periods. Two months in Romania. 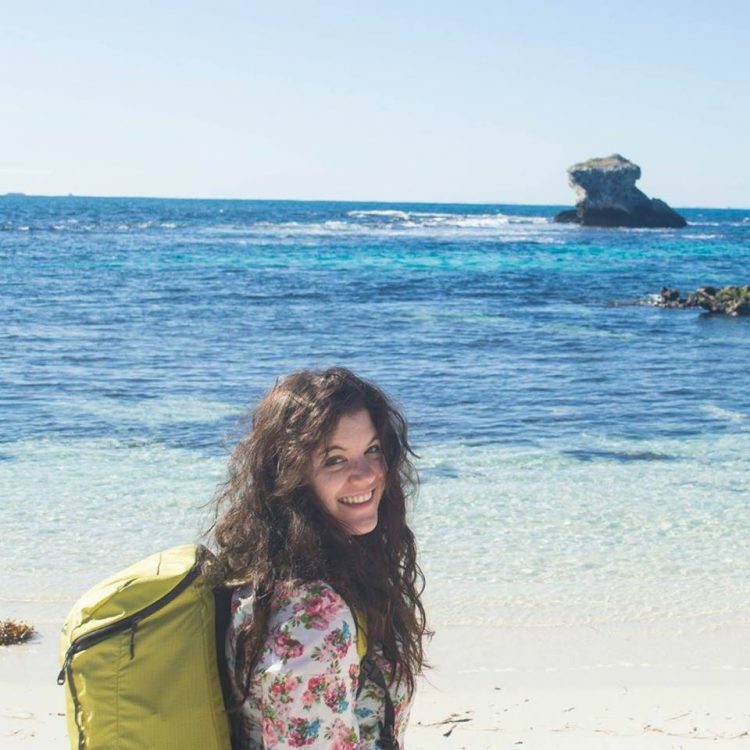 Seven months in Australia. A few visits to Scotland. At first glance, it might appear that we are well-to-do-jet-setters, hopping around the globe buffeted by our fat bank accounts. Instead, we travel smart and cheap. 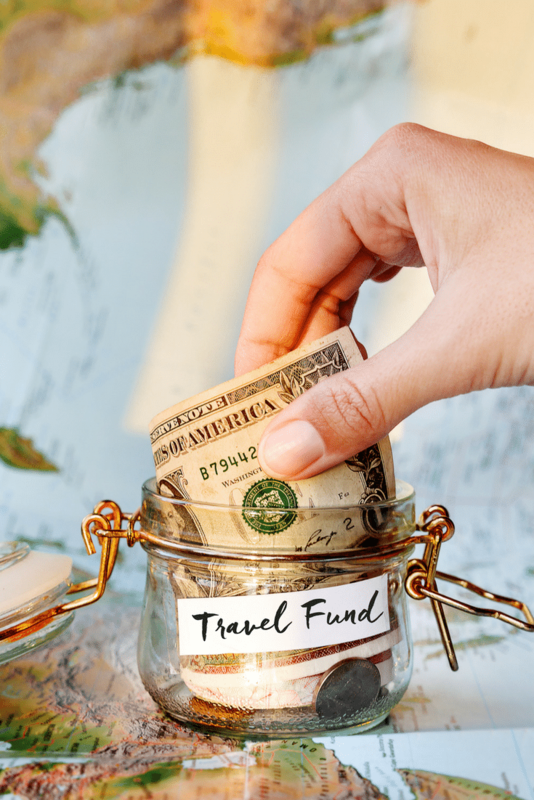 We’ve discovered, like lots of other travelers, that you don’t have to spend a lot of money to travel far and often, even if you’re on a modest income or have debt. Amazing travel experiences can be had without the high expense, provided you put in the effort and make travel a priority. Today, I want to share a few of the basic strategies we’ve used to make travel work for us, even long term. Here are 7 ways to save money on travel. It might sound crazy, but sometimes a longer trip can be cheaper than a short vacation! The reason for this is that you will approach it differently. When you opt for slow travel, it becomes more like daily life, which lowers expenses. You’re more likely to stay in an apartment for your accommodation, for instance. This typically reduces costs (when compared with a pricey hotel) and you may be able to obtain a discount on a weekly or monthly rental. Bonus: an apartment will have a kitchen where you can prepare your own meals, saving you even more money. When we travel for months at a time, we find that our day-to-day costs are reduced. We’re not moving as quickly, nor in a rush to see all the major sites. We have more time to discover the free activities, the cheap local eats, and to be smarter about our budget. And for us, as digital nomads who work online, this also gives us time to sit down and get work done! If you’re looking to travel long-term, slow travel is absolutely the way to go. Whatever your travel style, you can certainly save a lot of money via less traditional lodgings. Most hotels are going to be pricey, there’s no avoiding it. You may be able to snag a good deal, but for more reliable cheap accommodation, we prefer Airbnb, local short-term rentals, Couchsurfing, or our favorite: housesitting! Combined with our slow travel approach, housesitting is the perfect way to explore the world and get free accommodation. In return for caring for beautiful homes and adorable pets, we’ve been able to stay in some gorgeous places. It’s a mutually-beneficial situation that has enabled us to do a lot of our long-term travel. If you’re just going on a short trip, you will definitely want to check out Airbnb and Couchsurfing. Both options give you the chance to bunk with locals or in a local home. Couchsurfing is free and great for backpackers, and Airbnb is quite affordable and offers a range of options. Savvy travelers get smart about their flights. 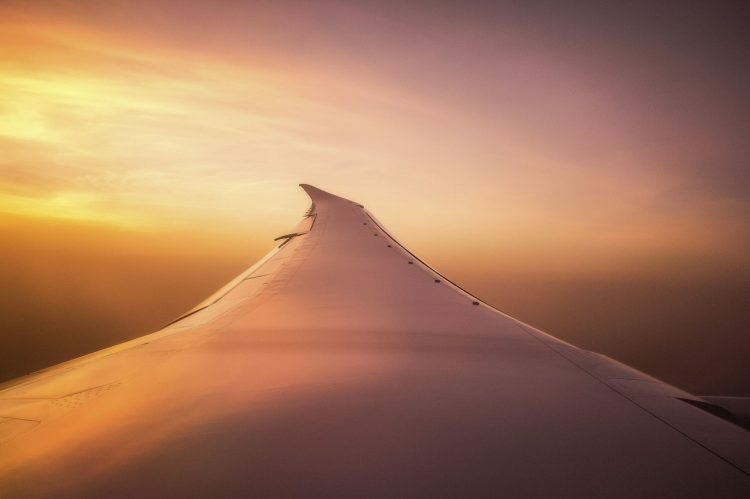 There are a lot of tips and tricks to save money on flights. The more flexible you are about your travel plans, the better. If you’re open to lots of connecting flights, you could certainly piece together a cheap route. It might be a lot longer and less comfortable, but you will save money! We like searching for our flights via Momondo and Skyscanner. These are aggregates that show a number of airline options. We’ve never had a problem finding reasonable flight prices on here. Whenever possible, aim for a midweek flight, as these tend to be cheaper than weekends or Mondays. You should also sign up for error fare websites. These sites crawl the web searching for “error” fares or extremely low flight prices that have typically been posted incorrectly. If you’re alerted to one of these error fares, you may be able to jump on an amazing deal before it disappears. It’s also worth signing up to the email lists of your favorite airlines for the same reason. Knowing about the great sales when they happen is key to landing those killer flight prices. Independent travel is a wonderful way to save money. Instead of paying for a fully guided tour, see your destination on your own, going at your own pace and hitting up your chosen sites and highlights. Of course, this may not be entirely possible in some destinations, but in most popular holiday spots, you’ll save a great deal with a little DIY. With so much information on the Internet, it’s also extremely easy to make your own tour. In Vienna, for instance, you can pay upwards of $50 for a guided tour of famous sites from the film The Sound of Music. On our trip to Austria, to save our pennies, we researched the film spots online and were able to find them all on our own. Plus, this gave us more time in each place to explore and take those all-important Instagram shots! Food adds up SO MUCH during your travels. This is especially true because you’re on vacation! You want to let loose, order cocktails, and try all the favorite dishes. And you should—-but within reason. We typically enjoy one “fancy meal” in each destination we visit. This means we’re allowed to splurge and order drinks and the must-try foods in that city. But for the rest of the trip, we go for cheap eats. We choose smaller, local establishments when eating out, but most of all, we cook or prepare our own meals. When I was backpacking Europe in 2011, this was the ultimate money-saving technique. Each hostel I stayed in had a kitchen, and I ate a lot of plain pasta on my backpacker budget. Reducing your alcohol costs is also of the utmost importance. In many European countries, opting for wine or beer will prove most affordable at restaurants. Pass on the cocktails, as these tend to be a bit pricier. It’s also an excellent idea to cut back on drinking in restaurants and bars altogether and instead enjoy a bottle of wine in your accommodation. You might be surprised just how cheap a good bottle of wine can be! When my husband and I travel now, we focus on eating cheaply yet also seek out healthy items. The months we spent in Brasov, Romania this past winter we cooked amazing meals every night, often using local produce. Our groceries were an incredibly low price. This is also a great reason to choose an affordable destination. Which brings me to my next point. Where you choose to travel can be a major factor in helping you stick to a budget. There are plenty of affordable destinations across the globe, and when you visit these, you’ll have an equally fabulous experience and often in a “lesser-known” destination. Consider Southeast Asia, Central America, and Eastern Europe as a few regions that offer some amazing budget travel opportunities. Finally, try to avoid traveling in the high season, especially if you’re going to those popular tourist hotspots. A bit of research can show you when those areas are busiest. In slow and in “shoulder” season, you can evade the crowds, skip long lines, and sometimes even experience better weather. It’s worth trying a fresh or unique approach when traveling. Don’t just go where everyone goes and WHEN everyone goes. Being flexible with your season can make a big difference to your travel budget. What’s your #1 money-saving travel tip? My best tip is to do proper research: make a plan of the places you want to go and the things you want to do and then start searching for the most affordable options. Also, it’s a good idea to include some things on the list that make more sense in terms of budget. Sometimes, you can have some of the best surprises staying at a B&b that you wouldn’t have considered or eating at a certain restaurant.